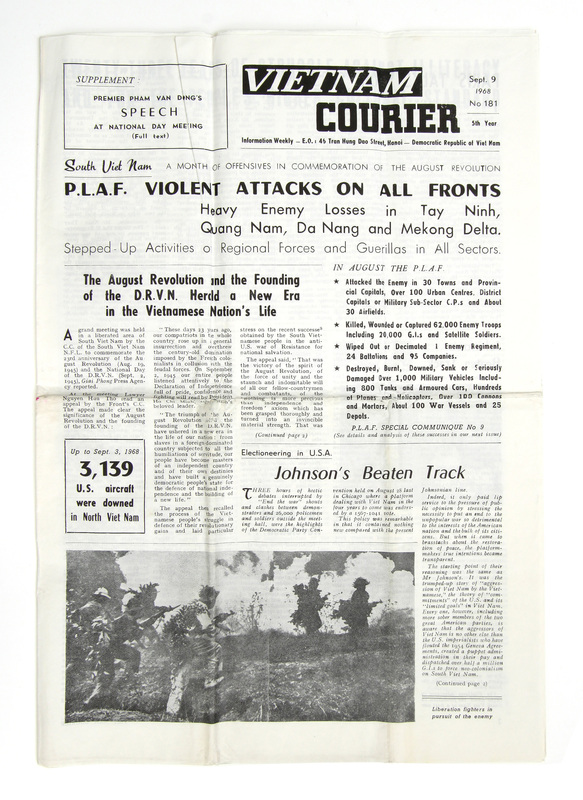 This is a 9 September 1968 English edition of The Vietnam Courier, a weekly newspaper published in Hanoi. 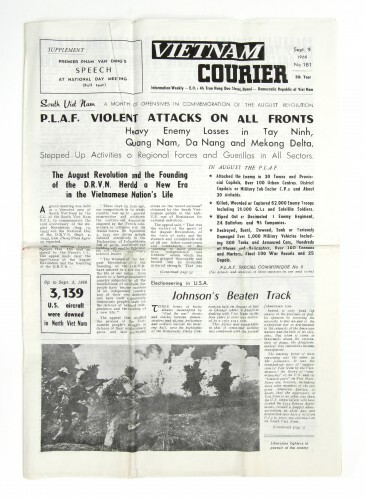 According to General Reynolds, on random occasions prisoners were taken individually to cells which had English editions newspapers. They were pure propaganda but it was a chance to leave the cell and communicate with other prisoners.